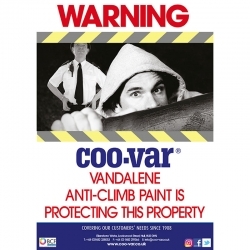 Coo-Var Vandalene Deterrent Signs are an excellent way to deter potential intruders from attempting to gain access. The signs clearly show that Vandalene is being used on the premises to make climbing and gaining access via illegal means extremely difficult. Vandalene also stains clothes and skin and contains a identification ink which can be detected by the police for weeks after the incident. hi i would like to know how can i stick these signs on brick wall. Double sided tape should be more than sufficient. Question: What are the rules for signs and using anti climb paint?Do we have to use signs? If so how many should we place on about 1.5km of fencing? There is a moral obligation rather than a legal requirement to use signs. 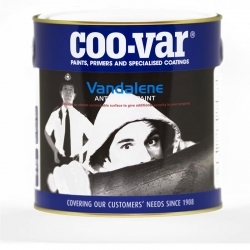 Coo-Var Vandalene should not be applied at a level that is accidentally accessible. Signs should be placed at locations where they can be seen and typically where ingress is expected or occurred. The distance between signs is difficult to define, but on a long straight fence they should be within eyesight of each other. Question: Hi. 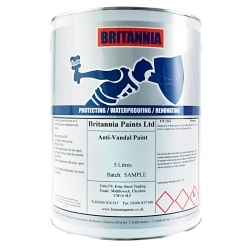 Are the coo-var anti climb paint signs plastic or metal, as I need to be able to fix them to the railings in question!